A Geographic Information System (GIS) is a computerized system for managing large amounts of information and is capable of assembling, storing, manipulating, and displaying geographically referenced information, (e.g.) data identified according to their locations. Practitioners also consider the total GIS as including operating personnel and the data that is placed into the system. GIS technology can be used for database management, spatial analysis and modeling, scientific research, resource management, and development planning. For example, a GIS might allow emergency planners to easily calculate emergency response time in the event of a natural disaster, or, a GIS might be used to find your local schools and other government services. The MySpringdale app allows citizens to obtain location specific information by selecting a location on the map or by entering an address into the search box. MySpringdale displays the location of parks, government buildings, schools, hospitals, and other community facilities. The MySpringdale app also displays location information like, zoning district, city council wards, voting precincts, state house and senate districts, FEMA flood zones, and utility company contact information. If you have questions about using the MySpringdale app please contact csedberry@springdalear.gov. 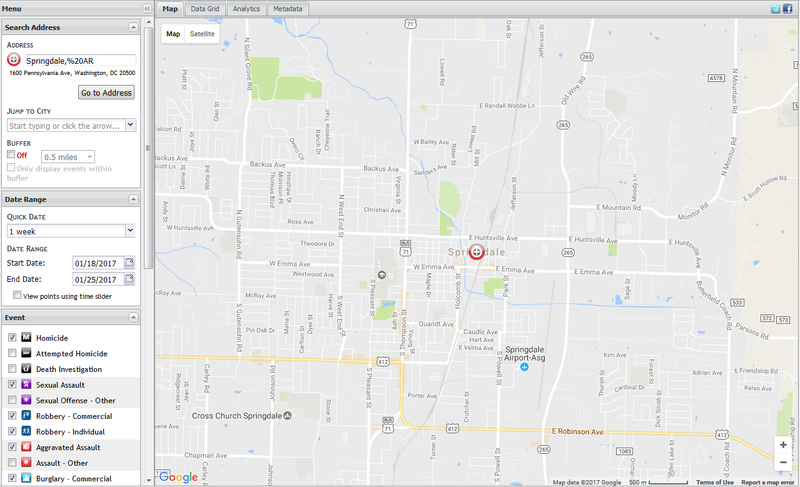 The Road Closure app provides the location of current road closures in the City of Springdale. For information about road closures please contact Ashley Earhart at aearhart@springdalear.gov. Bluff Cemetery contains over 6,400 headstone markers. This interactive map allows users to search for a marker by name and locate it on the map. Additionally, a photo of each headstone is provided to the user. Questions about Bluff Cemetery? Contact the Public Works Department at 479-750-8135. Displays aerial imagery dating from 1999 to 2018. 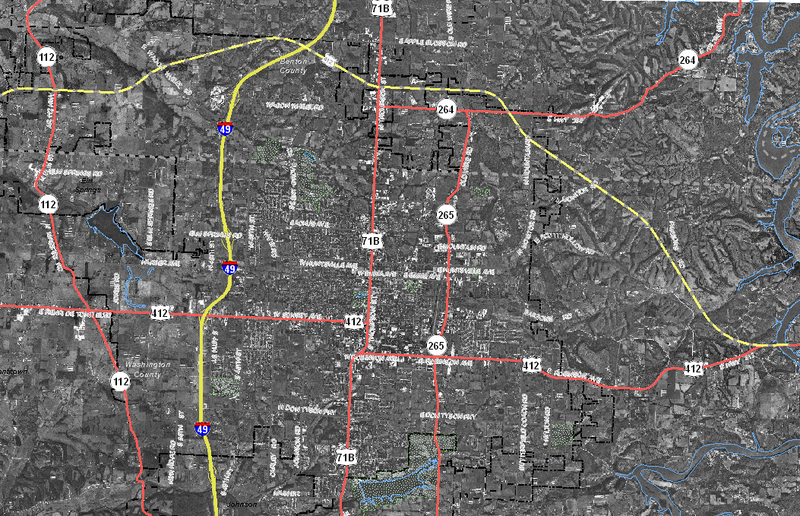 Click here to view a crime map for Springdale. The Floodplain Map is an interactive representation of the FEMA Flood Zone Designations. 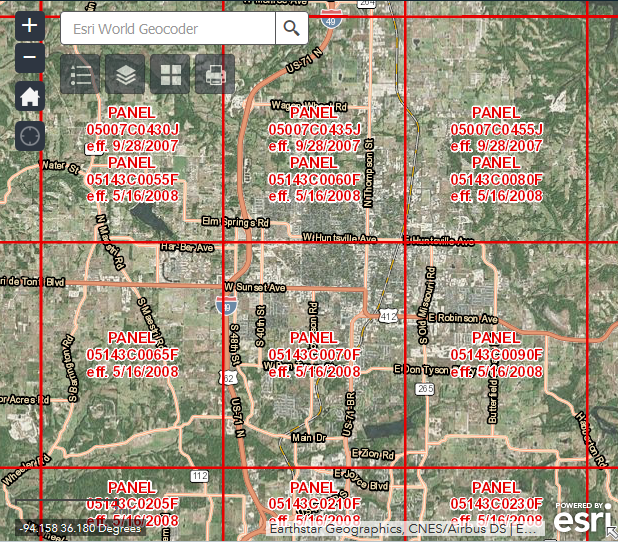 It shows flood zones, base flood elevations, panel numbers, as well as aerial photography. It is not intended to replace FEMA issued FIRM Maps. Please contact the Engineering Department if you have questions regarding flood zones. 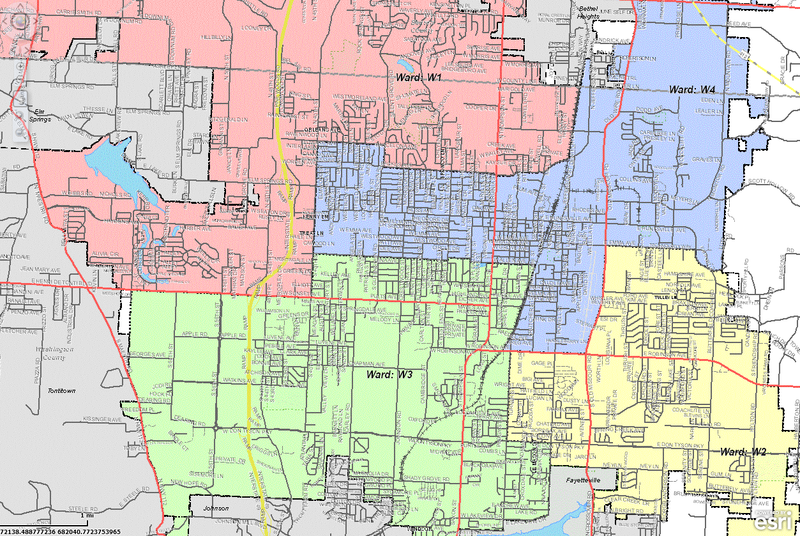 The Ward Map is an interactive representation of the City of Springdale Ward Boundaries. Easily find your Ward by entering your physical address in the Find My Ward box or by selecting a location on the map. For more information regarding the Ward Map or the City Council please contact the Mayor's Office or the City Council. The Zoning Map is an interactive representation of the City of Springdale Official Zoning Map. 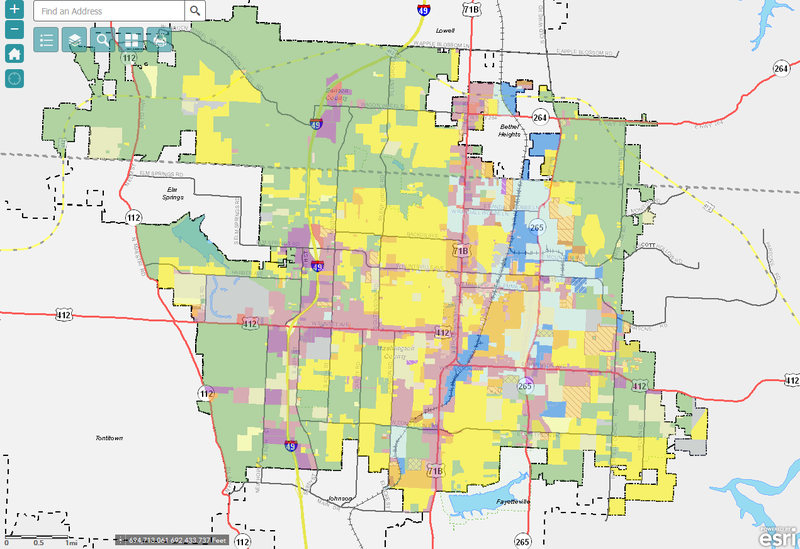 It shows the current zoning districts, base map information, as well as aerial photography. Please contact the Planning Department if you have questions regarding Zoning Districts. The Downtown Form-Based Code Map shows the newly adopted Form-Based Code districts for the downtown. Links within the map provide quick access to relevant sections of the form-based code. This interactive map, provided by Waste Management, shows Trash/Recycling Services Days for the City of Springdale. For more information, including additional pick-up information, please visit WM.com. The truck route map displays all designated truck routes for the City of Springdale. Please contact Clayton Sedberry with any questions.